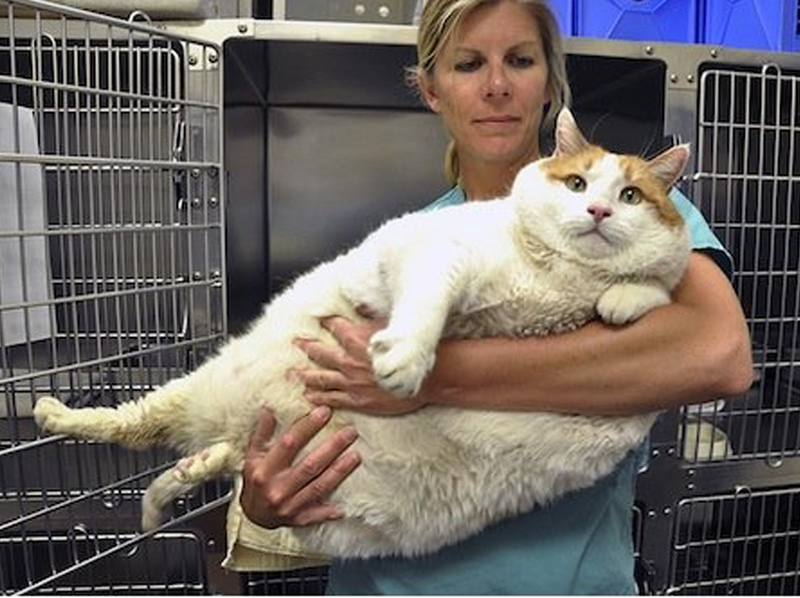 just look at this big boy! he makes me look like a dainty butterfly! he weighs almost 40 pounds! i thought i was big because i weigh 27 pounds, but i feel light and frothy now! in fact, i feel so light, it’s making me hungry. and you know what we’re having tonight? char-grilled filet mignon with goat cheese and balsamic syrup! that should put a few pounds on me! i can hardly wait to chomp down! but i think i’ll take a nap first to build up my appetite. 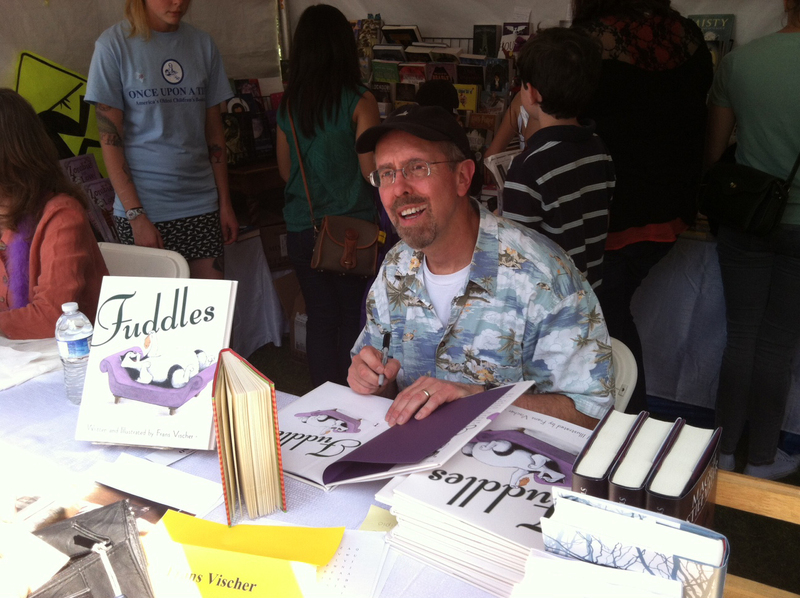 here’s frans at the los angeles times festival of books, signing and drawing fuddles. boy, it looks really crowded there. too many feet that can step on my tail. i don’t see any cozy spots for a catnap. and where is all the food?! i’m glad i stayed home. i took a long, comfy nap on my pillow, and then for dinner we had spaghetti with seeded squash, crumbled feta cheese and chopped tomatoes. toss in some sliced black olives and chopped fresh basil, and what a feast! and since mom knows i love meatballs, i got a couple of them on the side! can you see my fuddles book in the window? 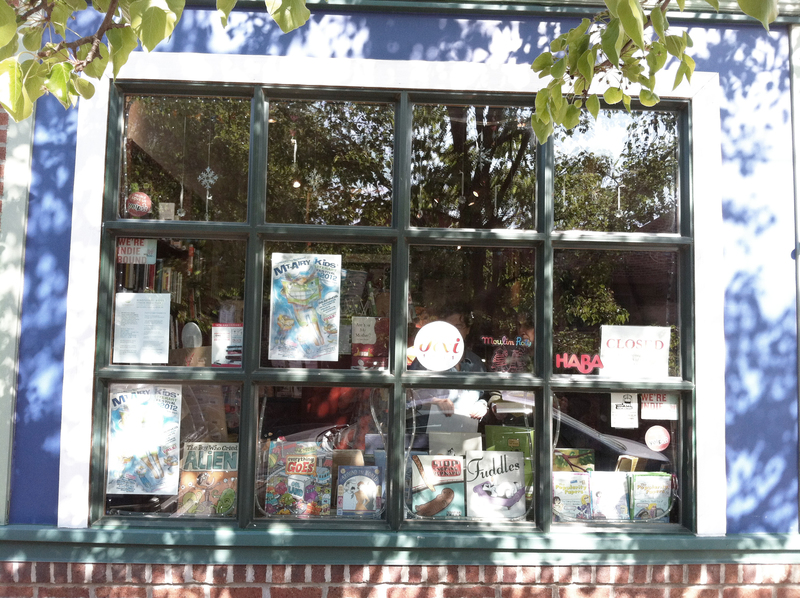 this is the big blue marble books store window in philadelphia where frans did a book-signing last weekend as part of a kids’ literary festival. and oregano leaves and my favorite, louisiana hot sauce! by the way, fuddles is behind the bottom window pane, second from the right. 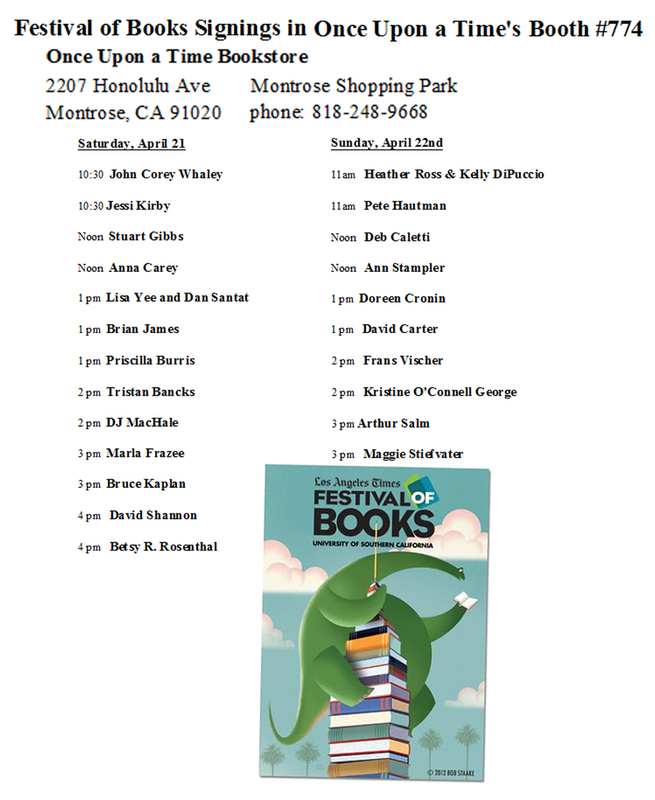 frans will be at the festival of books at the university of southern california on sunday! 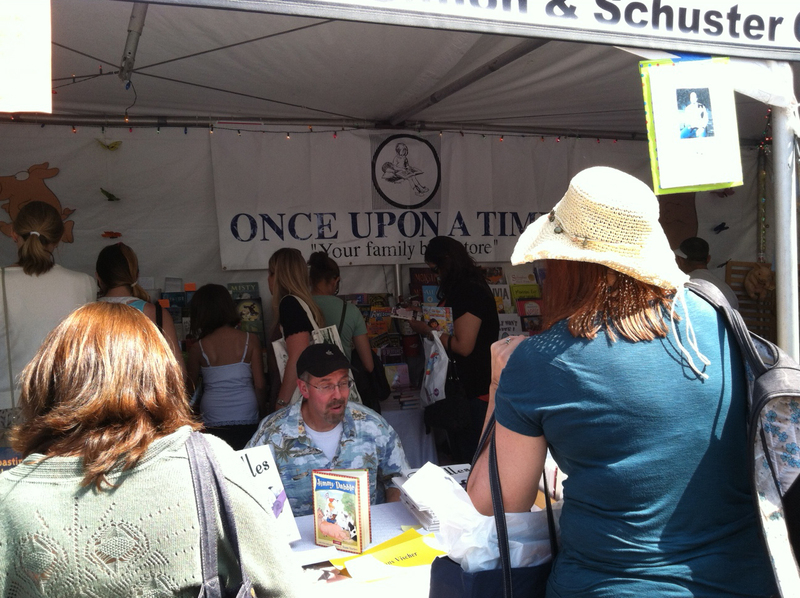 he’ll be signing fuddles books at 2 o’clock at the once upon a time booth. come on out and say hi! i can’t be saying hi there because i don’t want to miss my dinner, so i’m staying home. especially when dinner is lasagna with whole tomatoes and lowfat cottage cheese and two whole beaten eggs and sliced mozzarella cheese! this kitty likes to suckle on anything soft. pillows, sweaters, socks. 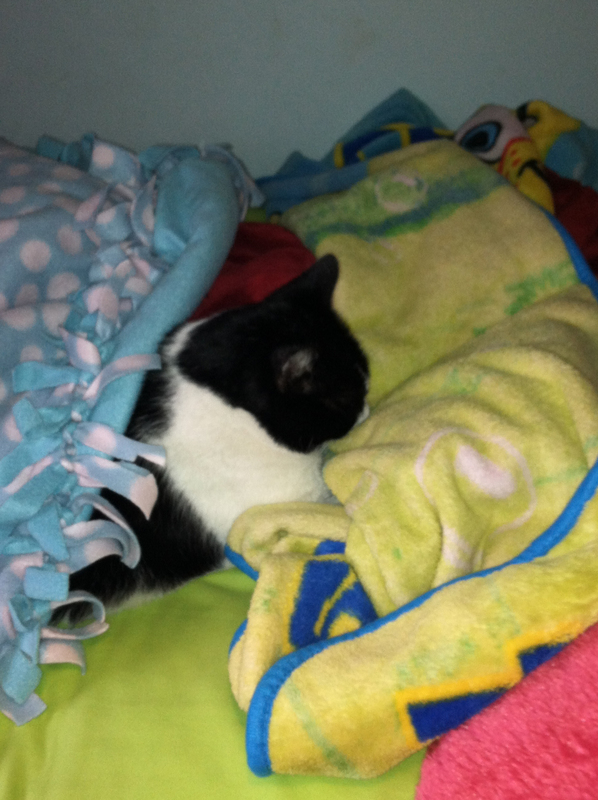 here he is in frans’ daughter’s bed, while she sleeps right beside him. he makes a lot of noise when he suckles. it’s a happy, purring sound, and when he’s really happy he gets really loud! i’m really happy when i eat. that’s when i purr really loud! and i’ll be purring loudly tonight because we’re having pork chops with black peppercorns, baked in bacon fat and grapeseed oil. i’m purring already! 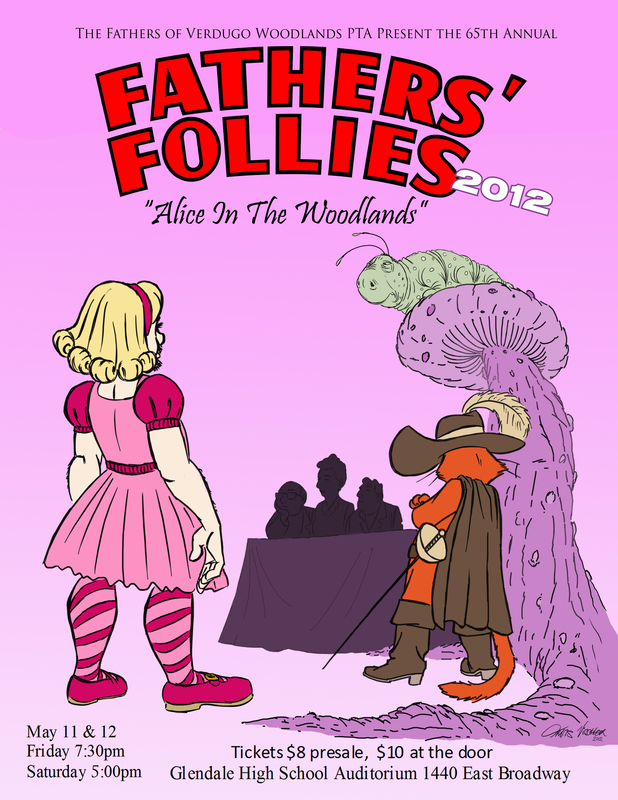 Father’s Follies- May 11 & 12! frans and a bunch of verdugo woodlands elementary school dads are dressing up as ladies to dance in a big show! they’ve been rehearsing for weeks for a big fundraiser for the school. frans did this year’s poster, joining a long list of artists that contributed to the tradition started in 1948, including several former disney studio artists. cats don’t dance, so i don’t dance. dancing with 2 feet is easy, but try dancing with 4 paws! now that’s a challenge, and a work-out! and it just makes me hungry. i’m hungry right now. good thing too- it’s pizza night! my favorite is smoked salmon pizza, with sliced red onion, and rapeseed oil. i like anchovies too! here’s frans’ daughter mary with former los angeles galaxy and u.s. world cup star clint mathis! 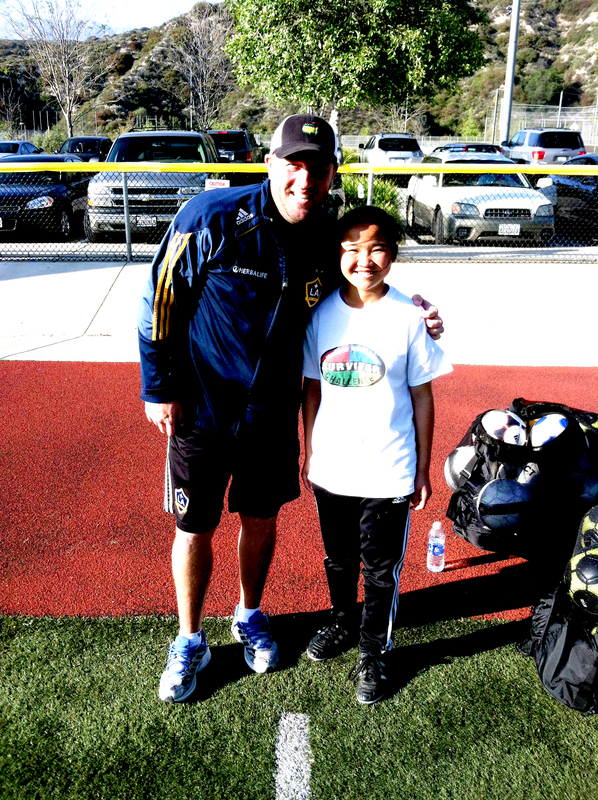 mary went to a galaxy soccer clinic and learned from the pros. i like to watch mary practice in the backyard. i have to find a safe place to sit so all those flying balls don’t hit me. she kicks really hard! more than a few windows have been broken in our house… watching all that running and twirling around makes me tired and hungry. 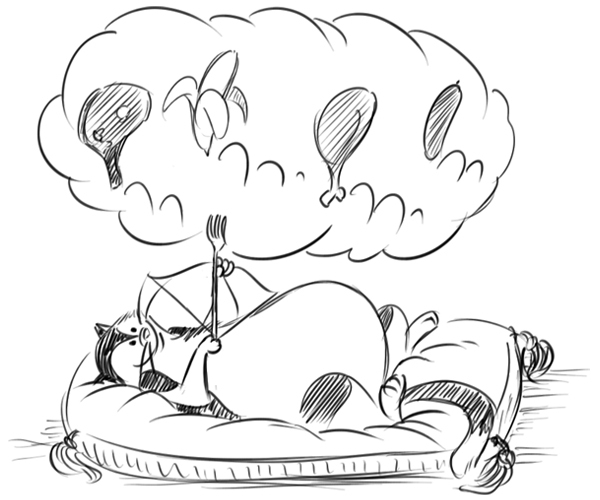 so then i take a nap and dream about dinner. we’re having chicken with chive dumplings! yummy! with chopped jumbo onions and carrots and peas, i can hardly wait! i play the hunger games all the time because i’m always hungry. i guess what mom’s cooking, and i’m always right. i have a nose for food! my nose is so sensitive, i can sense what type of rosemary mom uses in her roasted pork loin recipe, even if i’m taking a nap in the living room. and right now i’m smelling red wine vinegar and minced cloves garlic,so i know we’re having grilled marinated flank steak tonight. oh boy, these hunger games are killing me- dinner is over an hour away..!